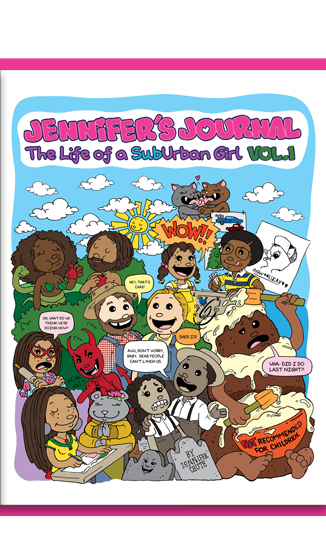 Cruté’s subconscious Chisholm was right: “Jennifer’s Journal” is definitely more than a “stupid comic.” The stories are fragmented, a collection of experiences rather than a polished narrative, but that slice-of-life quality only adds to the book’s charm and impact. This page, for example, where she’s discussing the influence of her older brother on her life as an artist, draws readers in with a story that most can relate to: siblings entertaining themselves in creative and sometimes ridiculous ways. The back-cover blurb downplays the book’s more intense scenes. “I draw simple characters with round figures to soften the complex and contradictory life situations I depict,” writes Cruté. She might “soften” some of these situations, but that doesn’t mean she avoids them—and for good reason, a handful of pages aren’t “soft” at all. One frame illustrates a trip to the grocery store when Cruté and her father were greeted with the “N word” by a perky toddler in a grocery cart. His mother wheels him away whispering “Honey, that’s an inside word,” while another shopper looks on in shock. 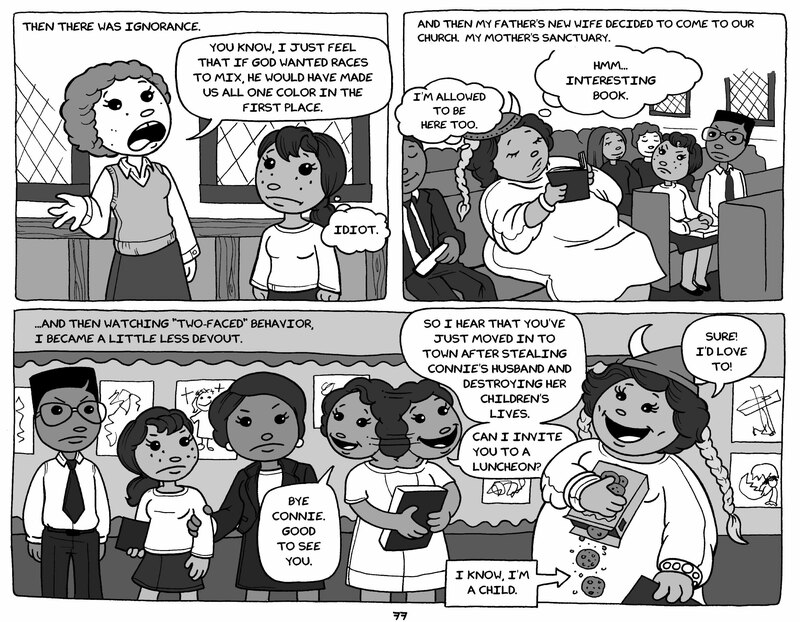 In a later section of the book that narrates Cruté’s spiritual journey, she illustrates some of her worst experiences at her mother’s church. 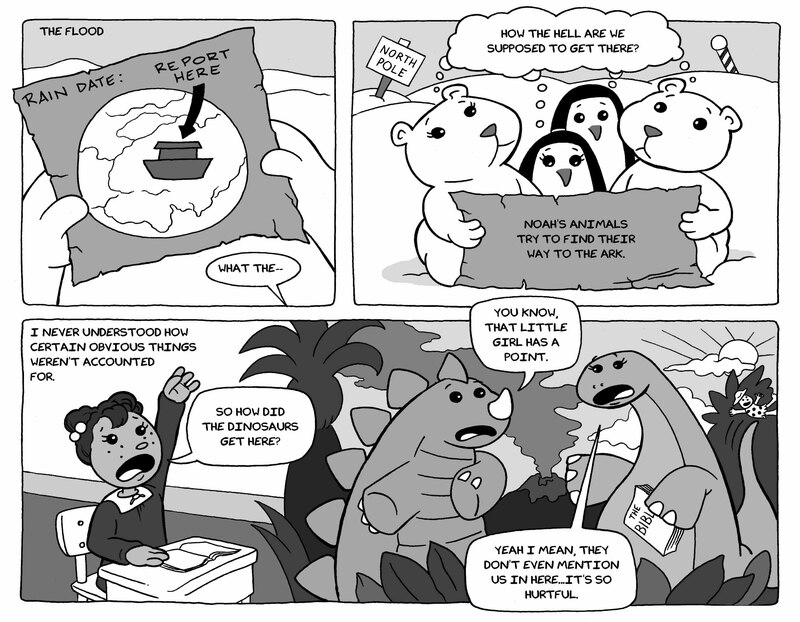 The racism in the top left frame, especially, is far from “simple,” but putting it out here in these “simple,” “round” characters can help readers think more carefully about how it works and why it’s so pernicious. Fortunately for comics fans, the “Volume 1” in the title of this book implies that Cruté plans to channel her talent into a Volume 2. 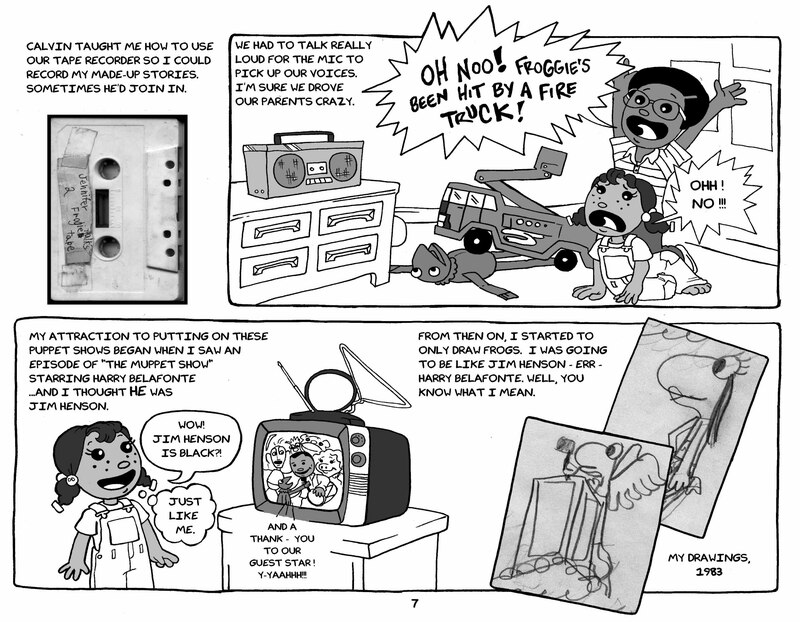 Also keep an eye out for a graphic novel Cruté is developing about her uncle, hip hop legend DJ Red Alert, who is credited with helping artists like Queen Latifah and Tribe Called Quest rise to fame. Now that Cruté’s comics career has some momentum, she shouldn’t need Shirley Chisholm’s help to finish Volume Two, but let’s hope the congresswoman is still lurking in Cruté’s subconscious, just in case she could use another nudge.